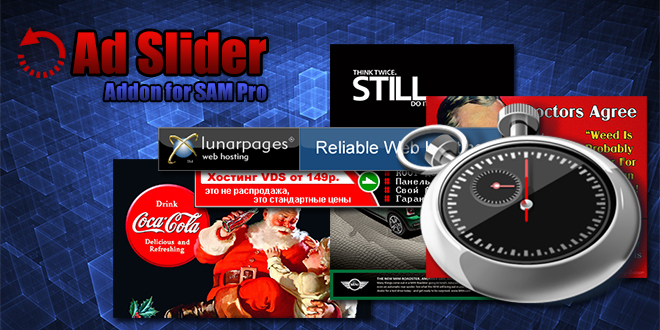 The Ad Slider is an addon for the SAM Pro (Free and Lite editions) plugin that provides possibility of rotating ads as slider for the ads that are rotating by timer. 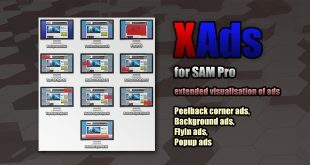 Basically, the addon is designed for use with the SAM Pro (Free Edition) plugin, as it adds to this plugin is not only an opportunity to display ads in the form of a slider, and the ability to ad rotation by timer (this feature is built into the SAM Pro Lite plugin). For the both plugins this addon also adds the ability to configure the parameters of the slider. Example output using addon Ad Slider you can see in the beginning of this article. © 2016, minimus. All rights reserved.